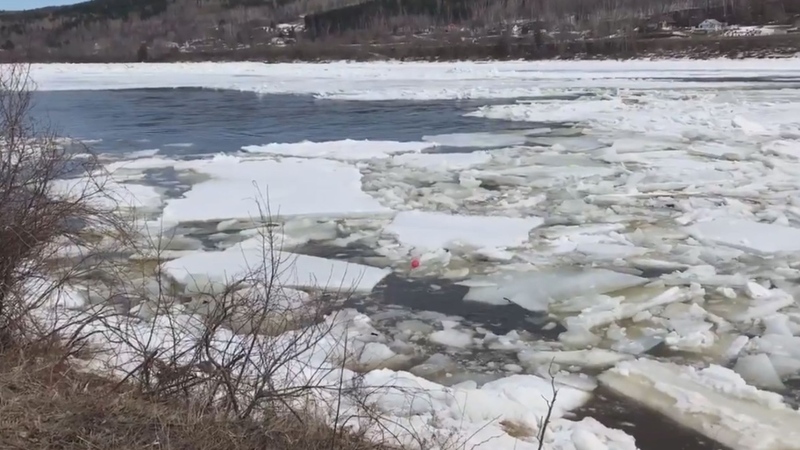 FREDERICTON -- Emergency Measures officials say they're pleased by the gradual rate of river ice melting in the St. John River, one year after last year's record-breaking floods wreaked damage on New Brunswick. 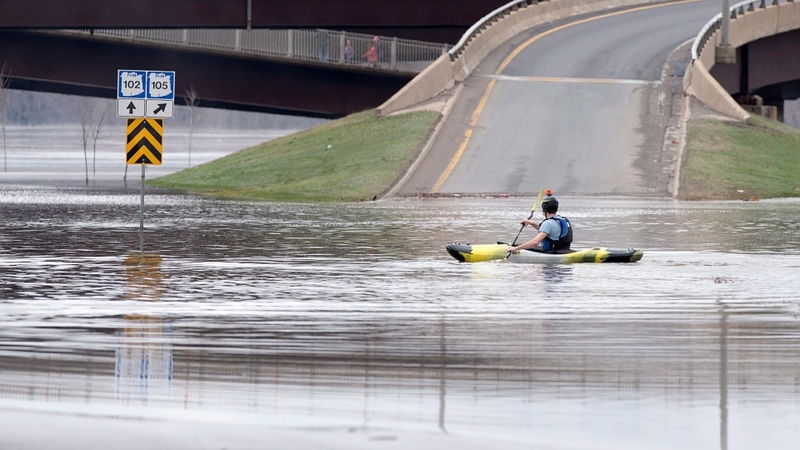 An ice jam is seen in Simonds, N.B. on April 12, 2019.